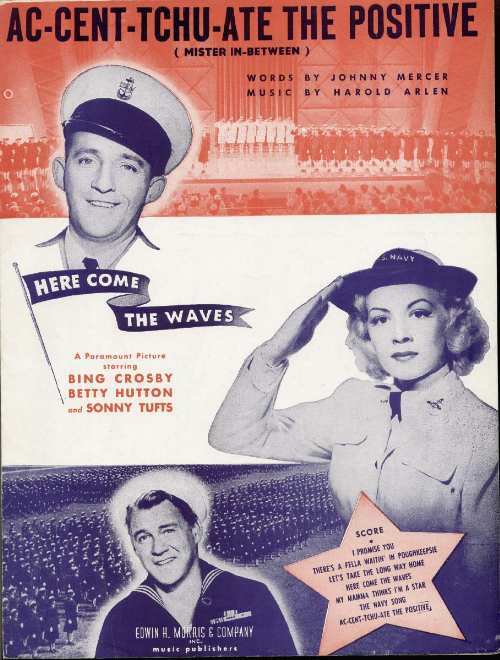 Here Come the WAVES was nominated for one Oscar, for best music original song Accentuate the Positive. The song was written by Harold Arlen and Johnny Mercer. It didn’t win. It Might as Well be Spring from the Rogers and Hammerstein musical State Fair took the award that year. Here’s a version of the song (not from the film), sung by Bing Crosby and the Andrew Sisters.